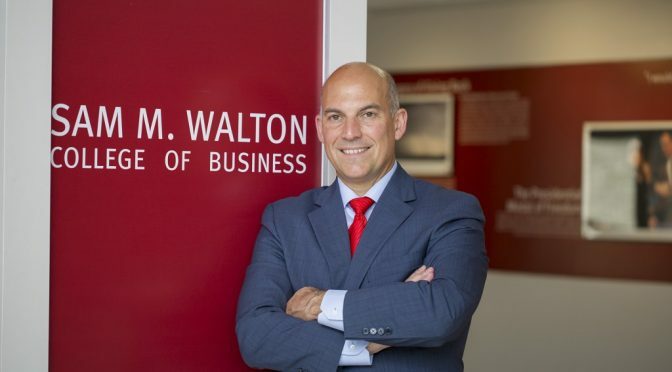 Matthew A. Waller, dean of the Sam M. Walton College of Business at the University of Arkansas, will receive the Whitney M. Young Award for his work to improve the lives of underserved Arkansans at a luncheon hosted by the Urban League of the State of Arkansas on Dec. 5 at the Wyndham Riverfront Hotel in North Little Rock. The luncheon, chaired by Lottie Shackelford, former mayor of Little Rock, recognizes the contributions of individuals who help provide equal opportunities for all Arkansans. Waller was chosen for the honor because of his commitment to diversity and inclusion at Walton College and within the state. Annie Abrams, a longtime civil rights activist, will also be recognized at the event. For additional information or to purchase tickets for the event, contact the Urban League at info@urbanleagueark.org. It is crucial that our students are prepared to be productive members of the global society in which they will live and work. The Office of Diversity and Inclusion at the Sam M. Walton College of Business is committed to increasing students’ awareness of diversity and increasing the extent to which they value its significance.